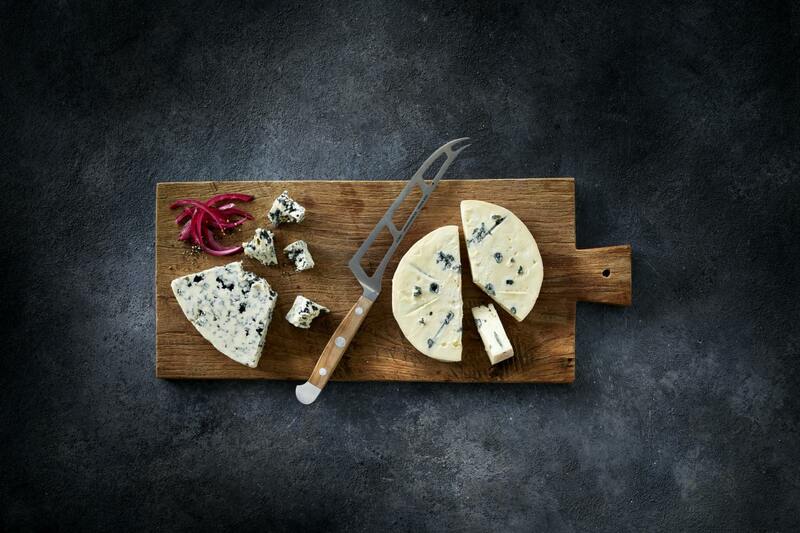 Place the cheese on your cutting board and start by cutting it in half, straight down the center. Continue by cutting the halves into two pieces until you feel that they are the correct size and quantity. To make sure that the serving size remains the same, always cut into evenly sized wedges, like you would a pie. When dealing with a block of cheese, cutting the pieces too thin means your cheese will dry out faster, while being harder to cut. Instead, start by cutting equal sections lengthwise from the rind to the edge. When serving, slice horizontally to make small-sized portions, or grate it through a cheese grater for toppings or warm dishes. In smaller soft cheeses, the center is often the ripest part, and it is worth sharing if you are having guests. Having already cut the cheese into triangles, cut off the tip of the cheese and follow by slicing lengthwise from the rear, towards the part where you previously sliced the tip. 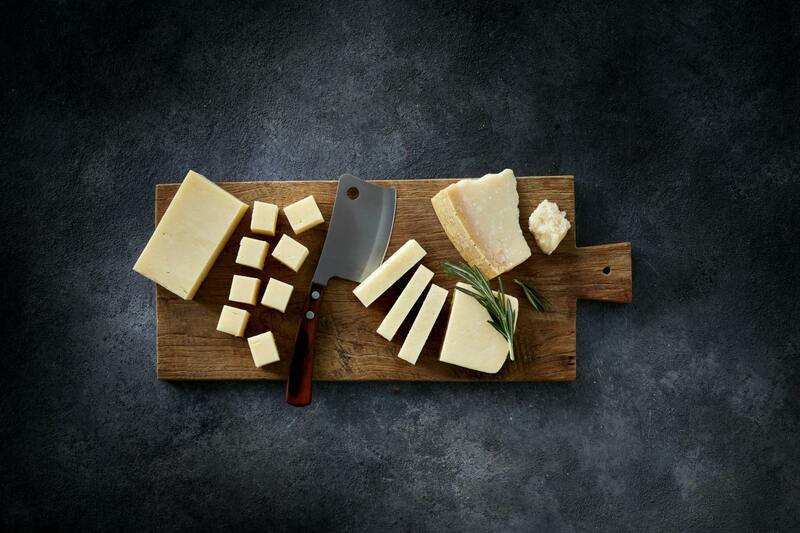 On cheeses such as Parmesan, the natural rind is often too hard to eat, but are great when making stock or sauces. With softer rinds, found on Double Crème and Brie, you are good to go if you feel like eating the entire cheese. These rinds are often referred to as bloomy rinds and form when the refiner sprays the raw cheese with a yeast-like fungus, eventually creating a supple skin around the exterior. When the refiner instead swabs the cheese in brine or alcohol, you end up with a washed rind. This helps bacteria develop the unique color and smell found on the exterior and the smooth consistency in the center. 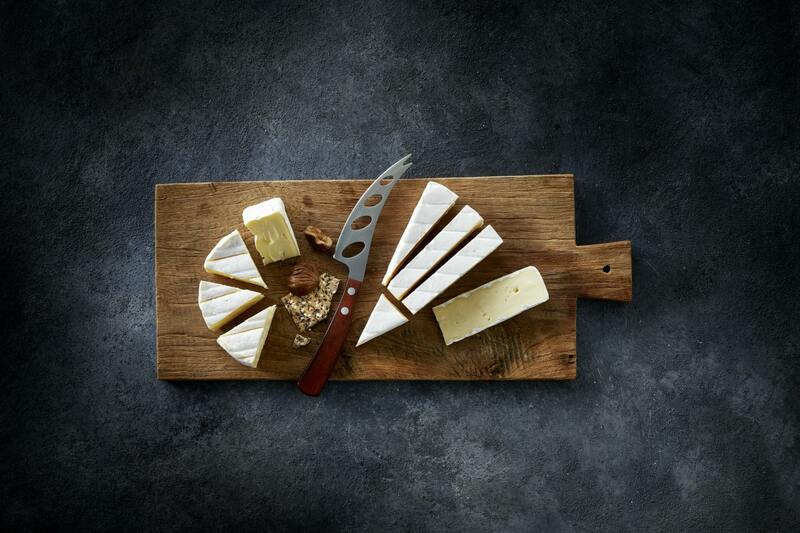 Cheeses with washed rinds come in different varieties; some are creamy, while others are hard like cheddar.